Great Greek style food, drinks and beats. 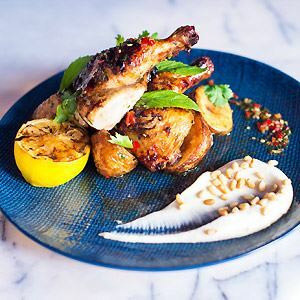 For a big fat Greek feast for the senses, make your way along Water Street in Sydney’s suburb of Sans Souci to find the trendy restaurant with big attitude, Stav’s Drinks Eats & Beats. 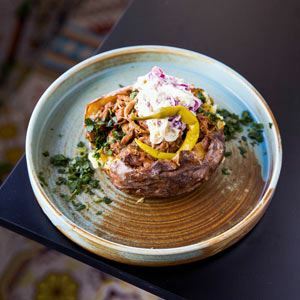 This charismatic eatery has been styled with an eclectic mix of street art strewn across the walls, neon signage, Edison bulb lighting and pallet timber ceilings, creating a funky space to meet friends and indulge in good food and conversation while enjoying uplifting beats. Find a fusion Greek menu offering a taste for everyone, from Stav’s pork belly with green papaya, chilli, shallots, pears and feta salad; to banquets ideal for larger groups, offering a mixture of dishes like the popular Wog Box – slow roasted lamb, pork, chicken and sheftalia with oven roasted potatoes, salad, pita and tzatziki.